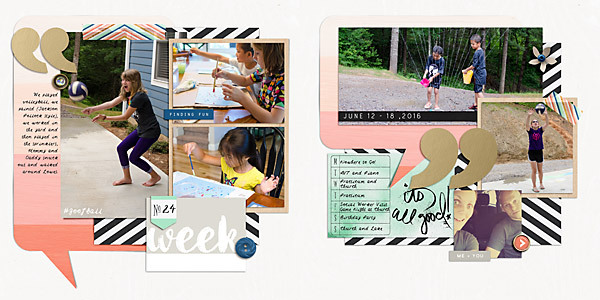 I was so excited to use the new Memory Pocket Monthly kit and add-ons that just came out. 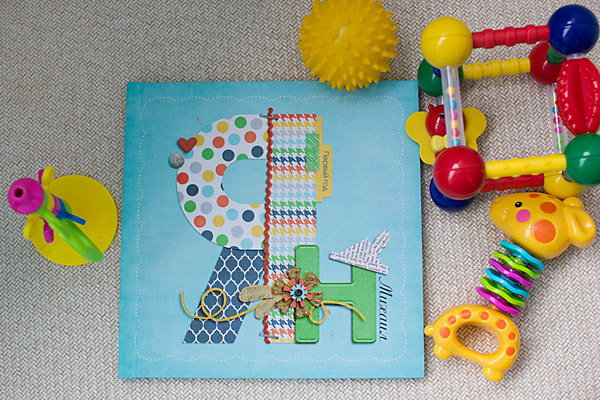 Bold, bright colors. I'm in love. 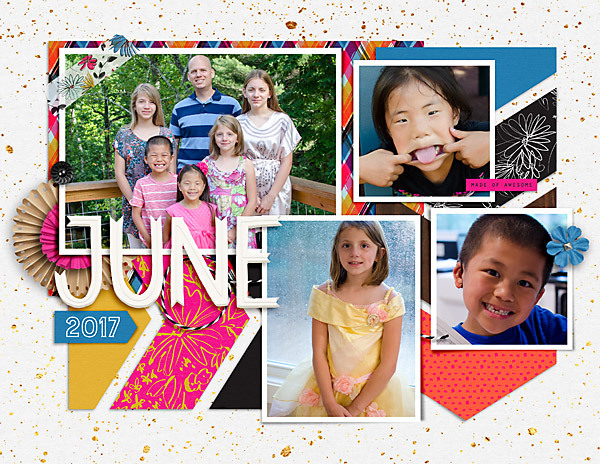 This week we started off with a little trip to Dollywood to celebrate the hubster, then it was off to mail more adoption paperwork and get Kyla's passport (she's going to China with us this time). We also played and sang some songs at the nursing home, did an art project, went to a birthday party, and a lot of other things in between. 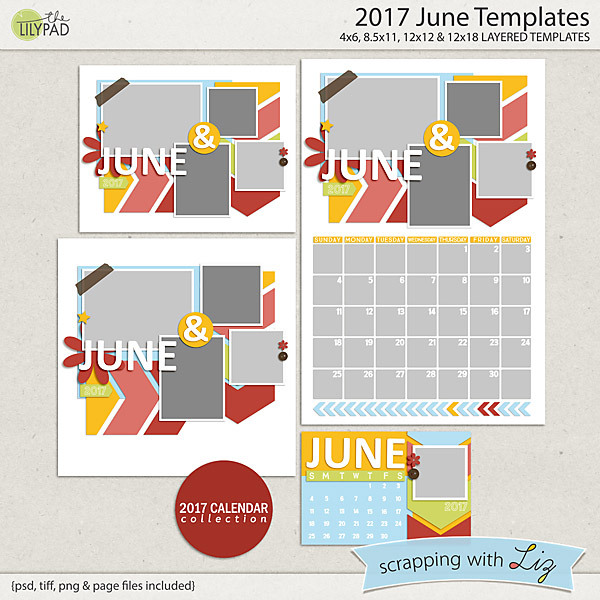 I also scrapped my June 2017 Calendar Topper. Half way done for this year! 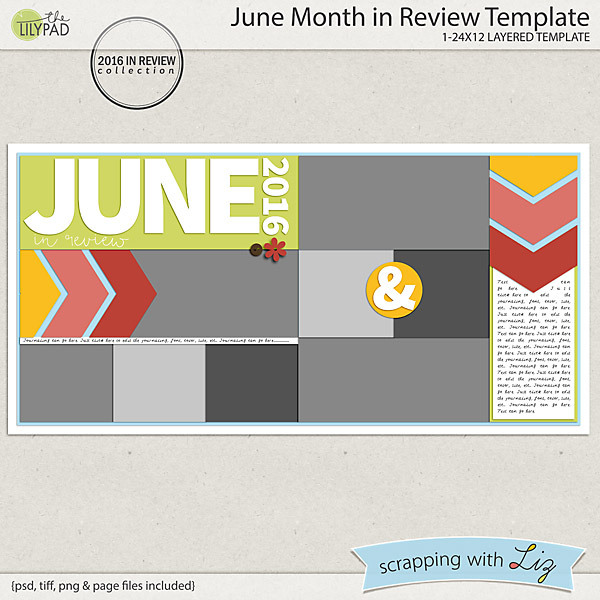 What have you been scrapping? 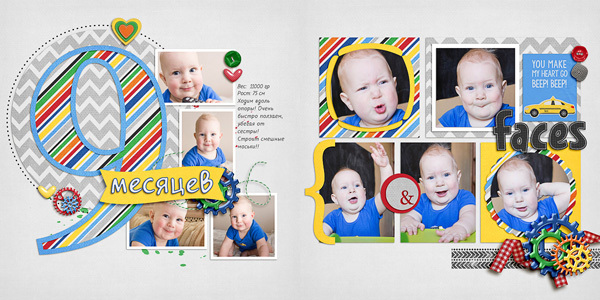 I have some oldies for you today, although one set is new to The Lilypad. Enjoy the 50% SOSN discount on these products today only, June 29, 2016. 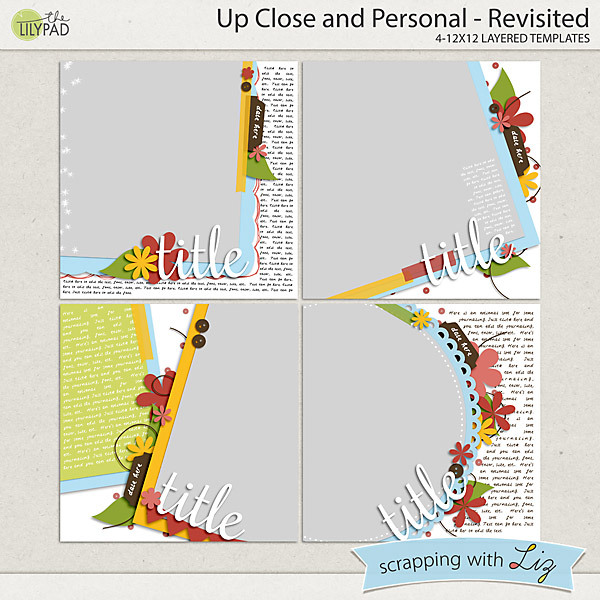 Up Close and Personal - Revisited is an older set of big photo templates. 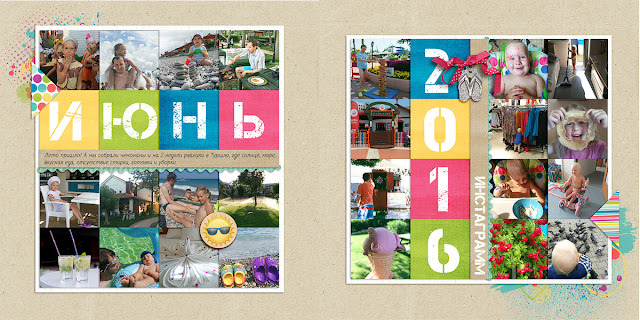 I have updated/freshened these a bit: added some stamp work and changed the embellishments and journaling a bit. These are new to The Lilypad; please check your stash before you buy. 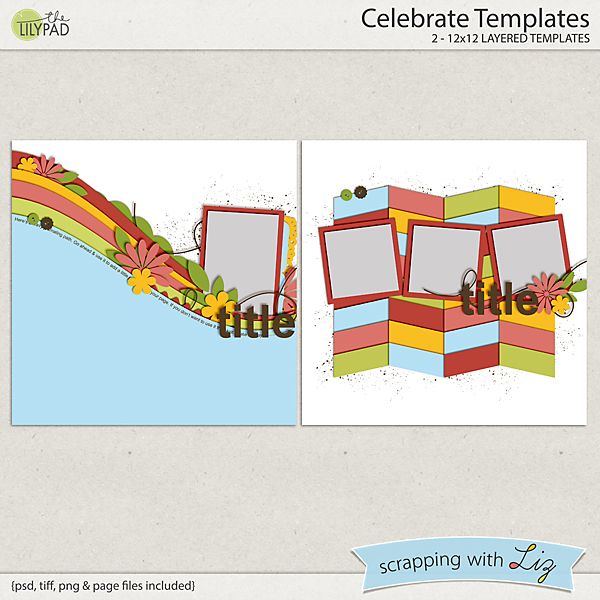 Celebrate Templates is a small set with fun layered background work. You will also find some misty paint spray and a wavy text path. 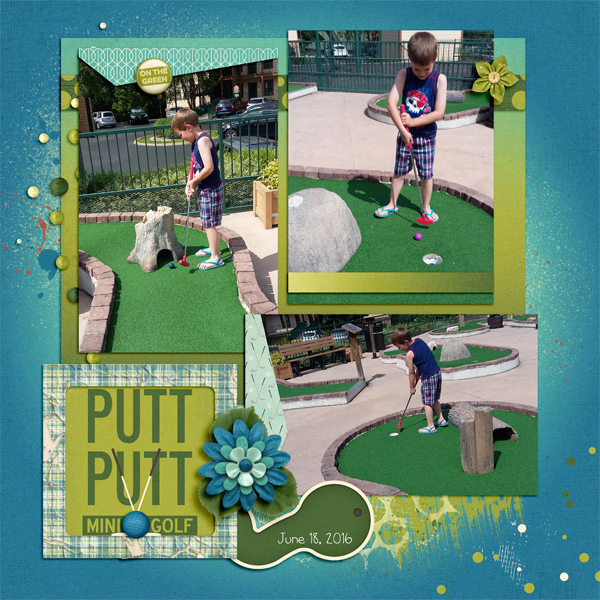 Donna used two large photos in an Up Close and Personal Revisited template. 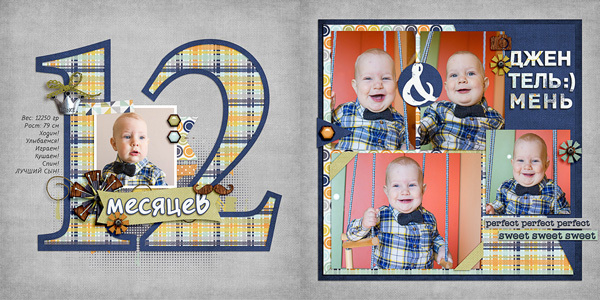 Jenn scrapped some fun actions shots with Celebrate Templates. 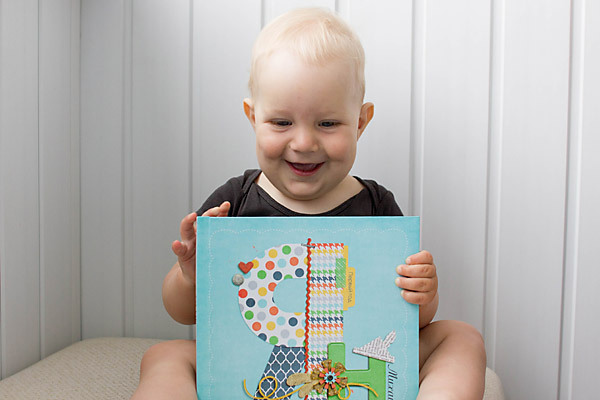 Katya, one of my creative team members, made a gorgeous 1st year album for her son. I asked her if I could share some of it with you all. I'm so glad she said yes! 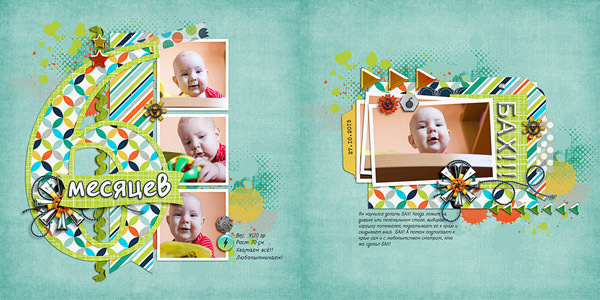 She used my 12 Month Album Templates as a base for her project. 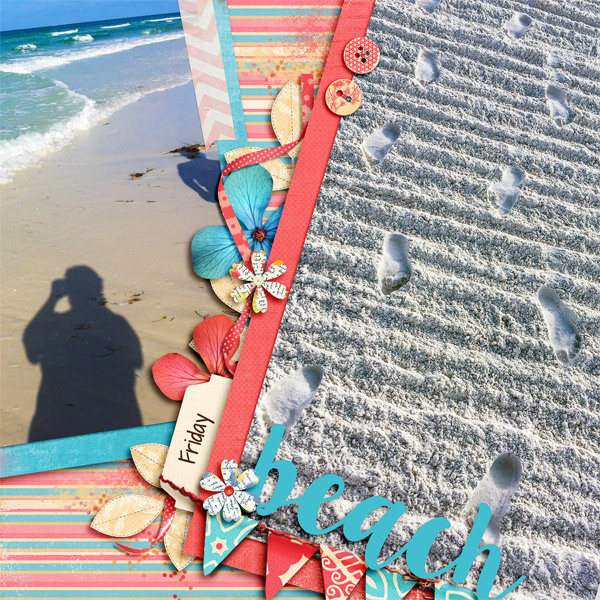 Be sure to check out her gallery to see other products and pages made. Isn't this just a gorgeous album?! And look at her baby. So handsome and happy! It's Monday morning and my kids are at VBS. That means I have a couple of hours of uninterrupted work time. Since I homeschool this is a really rare treat. I typically work late at night. So, I'm savoring my coffee and browsing my SwL Gallery, soaking up all the beautiful pages. You guys are really making me want to scrap! Anyway, today's highlight is from Bekki. 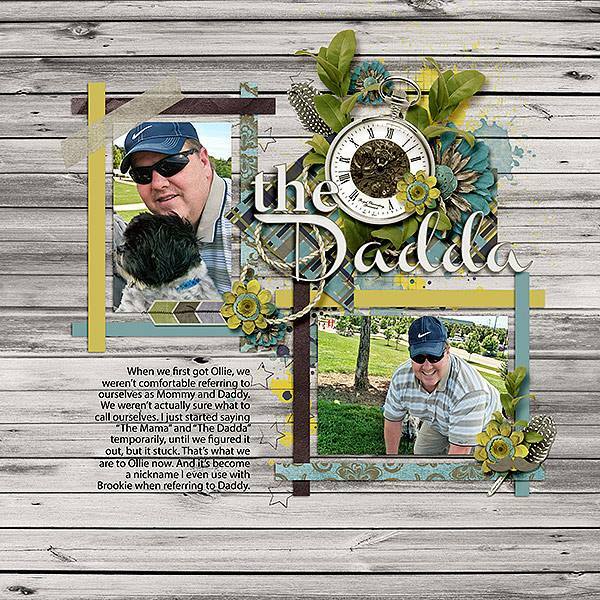 She made this gorgeous page about Dadda. I love the wood background. I'm a sucker for those. Plus she did some gorgeous clustering work behind the title. You can tell she took time to carefully place the elements and really worked those shadows. The colors of the kit go so great with the colors in the photos as well. Keep your pages coming. I love seeing what you all create! It really does inspire me to scrap. I'm taking less and less photos with my phone these days. I've been trying to leave my phone in the van when I'm out or in my bedroom when I'm home. 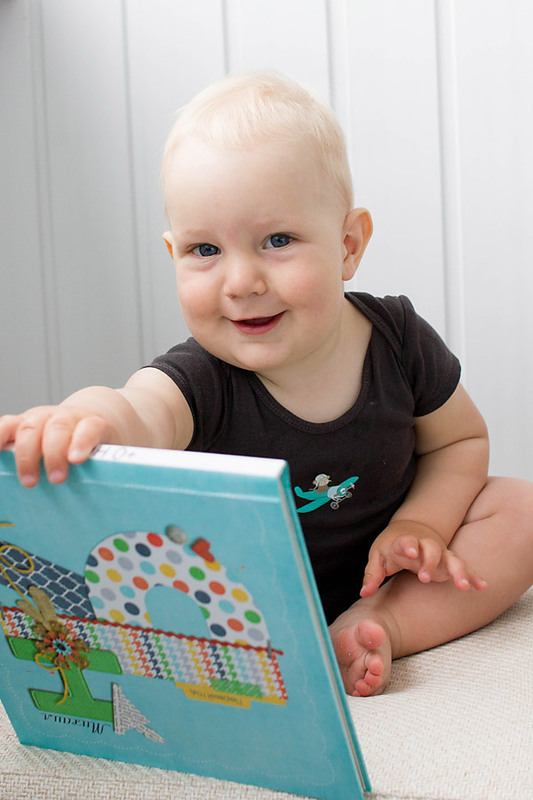 It forces me to use my DSLR more and be more present with my kids. What I don't like about it is that I miss taking photos of different events/outings we go to because I haven't been remembering to grab my big camera. 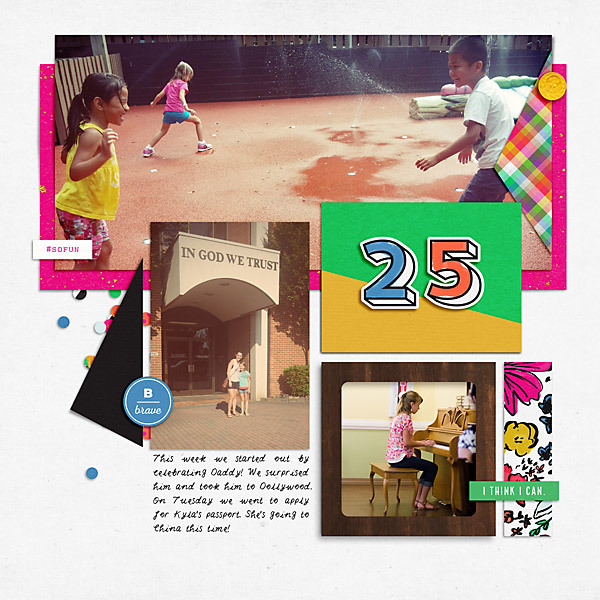 I missed taking pictures at game night, a birthday party and lake pictures...but I really enjoyed those events with my kids without sporadically getting on my phone. .
With less photos to document every thing we do, I've been documenting it more through text/journaling. This week I made a little weekly list of the things that were on our schedule. I really should do this more often. I think it will be fun to look back and see our weekly schedules. Today I have three older (or almost older!) 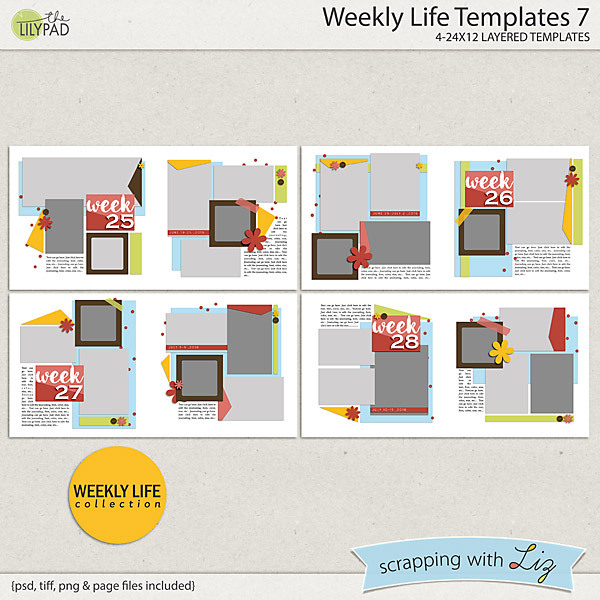 template sets on sale for you. Enjoy the 50% SOSN discount on these products today only, June 22, 2016. 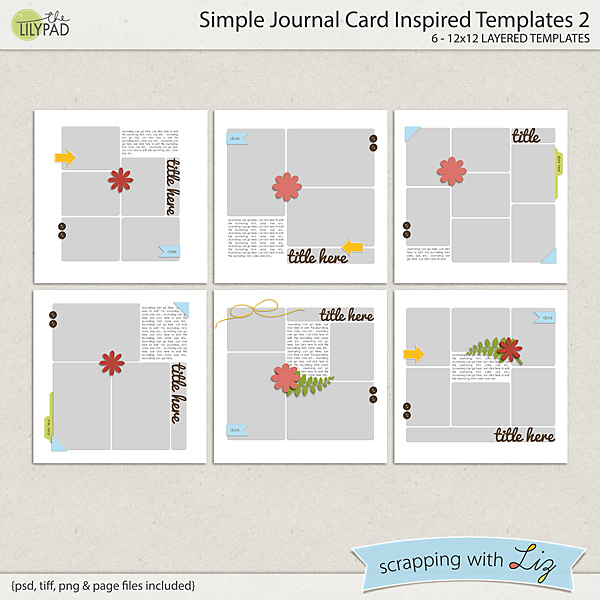 Simple Journal Card Inspired Templates 1 and Simple Journal Card Inspired Templates 2 are designs I created when journal and filler cards were starting to show up in digital kits. 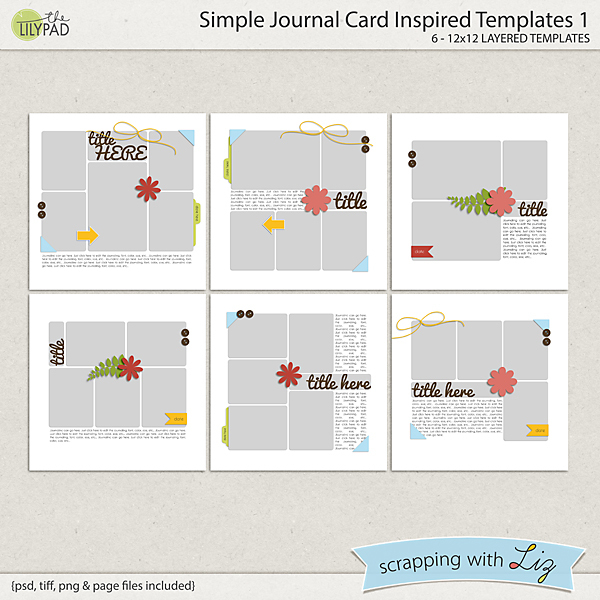 I designed these to give the traditional digital scrapper some options for using all those beautiful cards in their layouts. 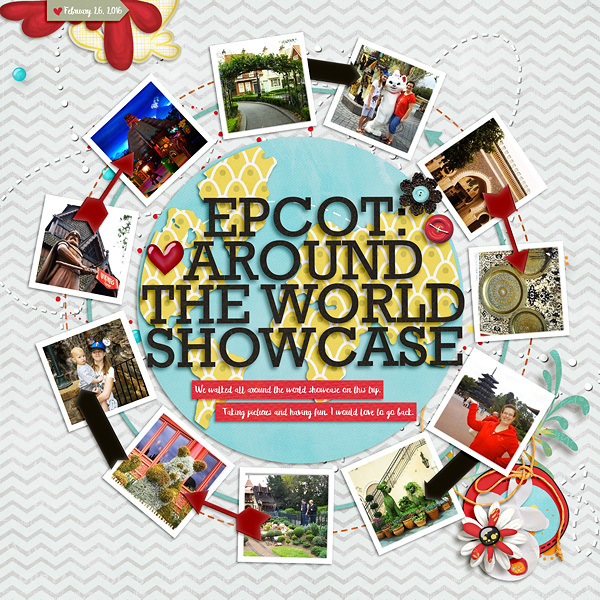 If you want to fill all those spots with photos, that works too! 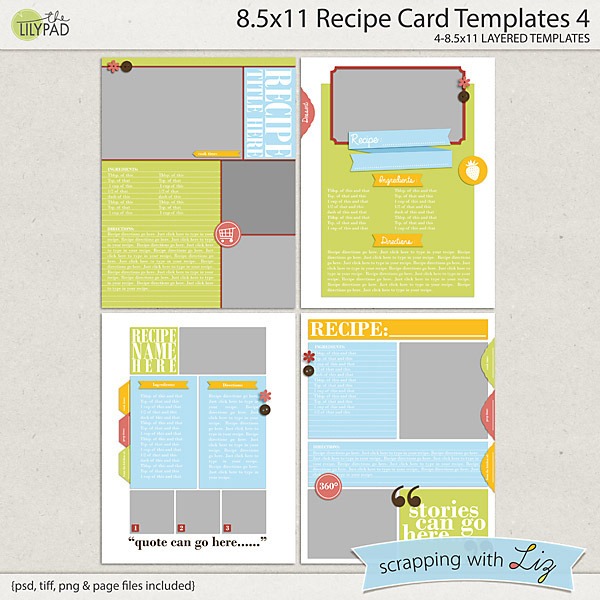 Both sets work together to make a great album set if you want to scrap many cohesive pages. 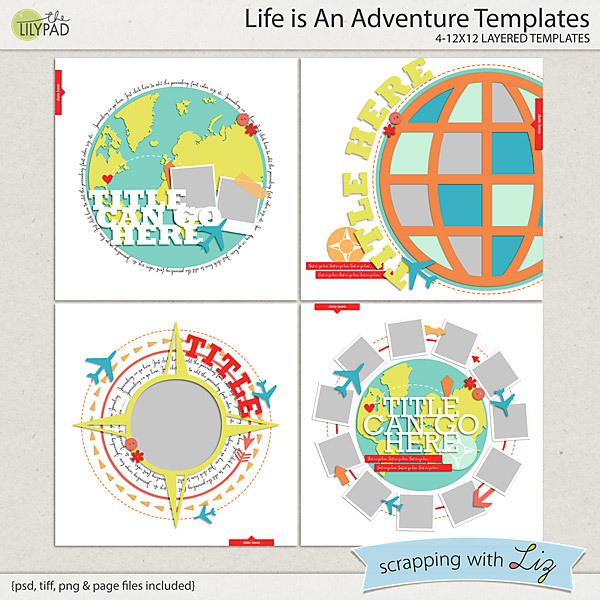 Life is An Adventure Templates are new to my store, but they were previously given out as freebies or Free With Purchase promotion. 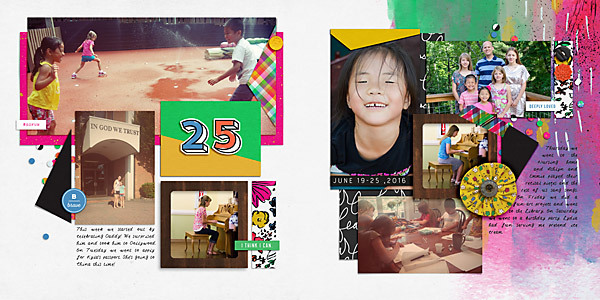 If you have some travel photos to scrap and you don't already have these, today is a great opportunity to snag these designs at a really low price. 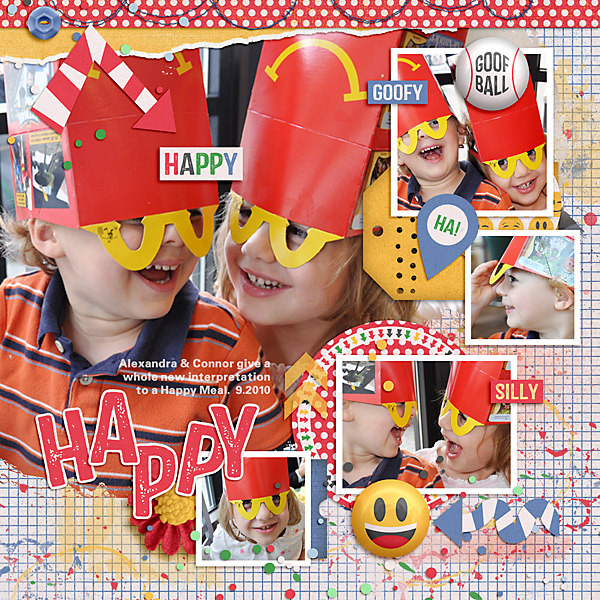 Dagi used Simple Journal Inspired Templates 1 to scrap a fun outing. 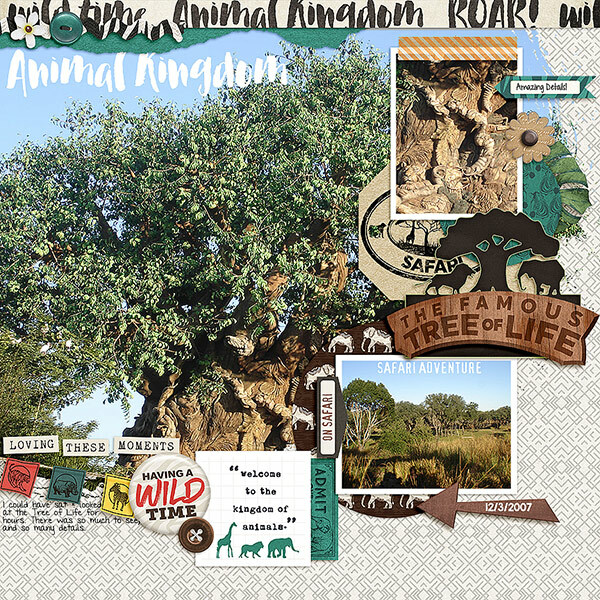 Amanda scrapped a Disney page with Life is An Adventure Templates. 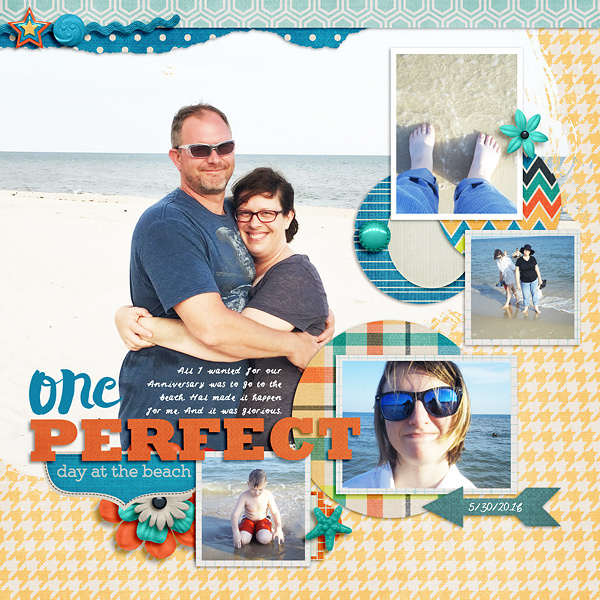 Check out the products in the store to see some more fabulous layouts from my team and the Pollys. 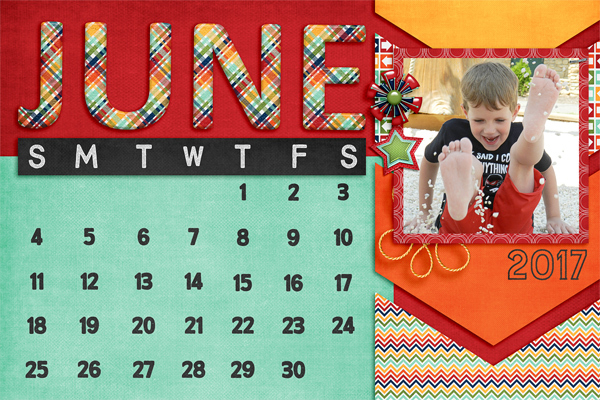 Can you believe it's the middle June already!! If you are like me, you might think it's too hot inside to cook. We do a lot of grilling, not only in the summer, but all year, too. My husband has been know to shovel snow just to get to the grill. I spend way too much searching for new recipes on Pinterest. 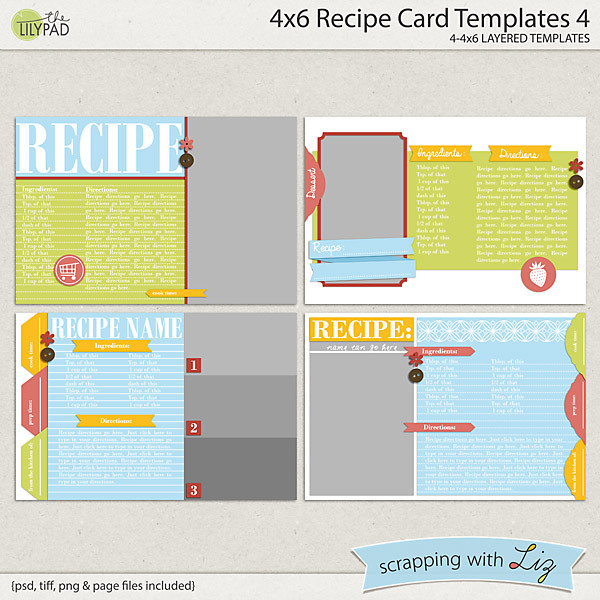 It's nice to have something new to eat and when I find one that the family likes, I make a 4x6 card for my recipe box. 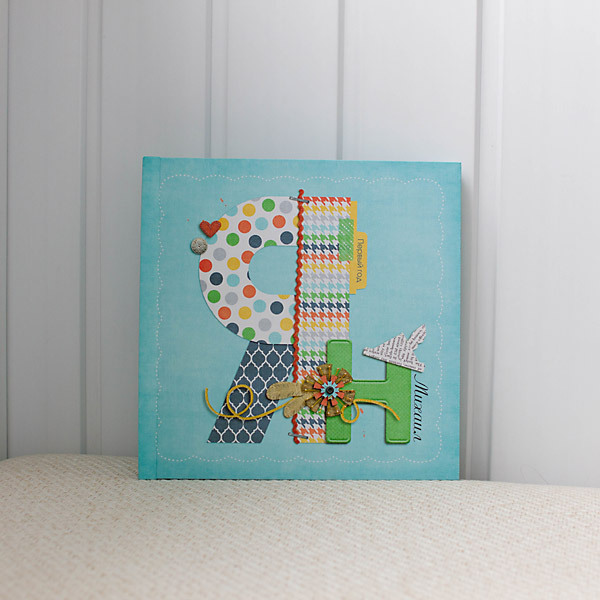 My girls will even send me their newest favorite so that I can make a card for them, too. 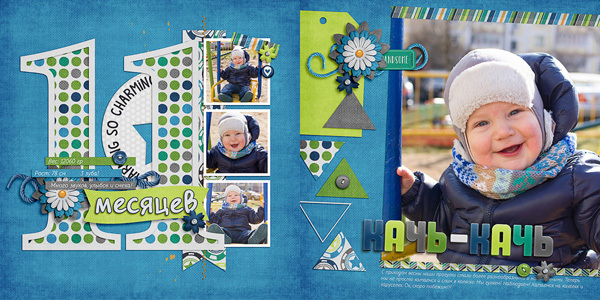 This month, Liz release another new set of cards and also 8.5x11 pages. While on Pinterest, I found a new recipe for Chicken Tacos that looked good. Then I realized that I needed another recipe for the salsa and a third recipe for the spicy rub to marinate the chicken in. I'll admit that it took me all afternoon to make all three, but the end results was delicious! Here are the cards that I made. I've credited the original poster on the cards. I also wanted to share with you some photos of my son-in-law's grandmother on Mother's Day. 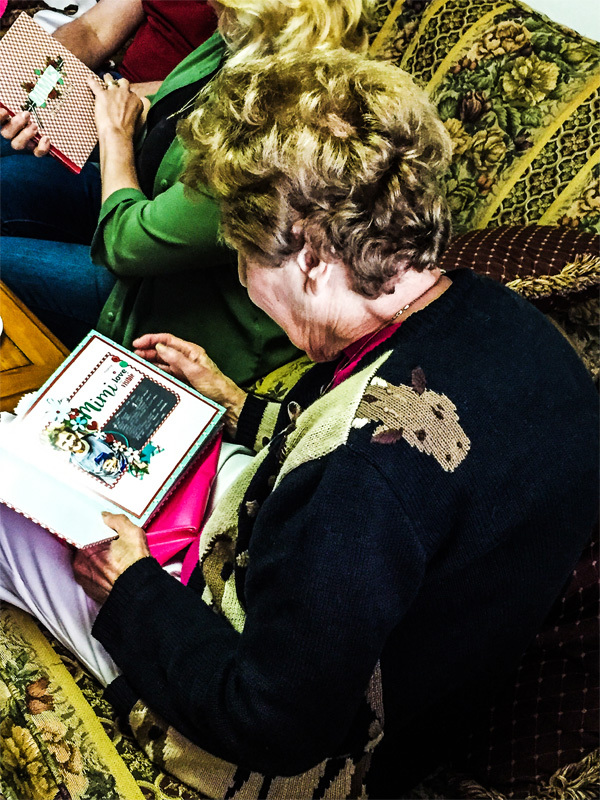 He asked me if I would take some pictures and make a cookbook for her as a gift. The recipe was one that she and their whole family make every Christmas. How could I say no! I spent 2 days watching the 7 grandchildren trying to make pierogies the way Mimi did. They did a wonderful job and the book turned out pretty good, too. 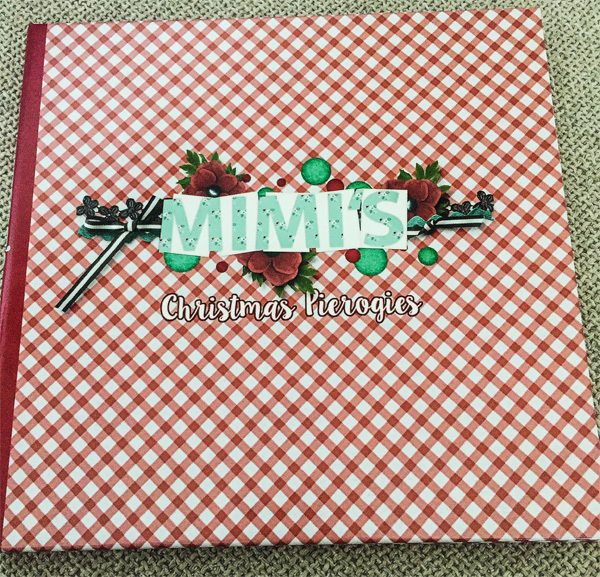 Oh, and Mimi loved her new cookbook. Here is Mimi opening up to the first page. That's all I have for this month. 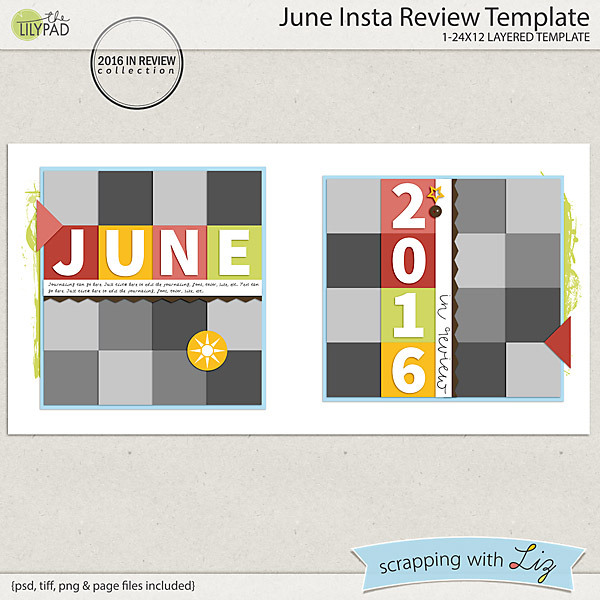 Don't forget to share your full resolution recipe cards in the SWL Group on Facebook in the 2016 Recipe Pages and Cards album. I'm looking forward to seeing your recipes. 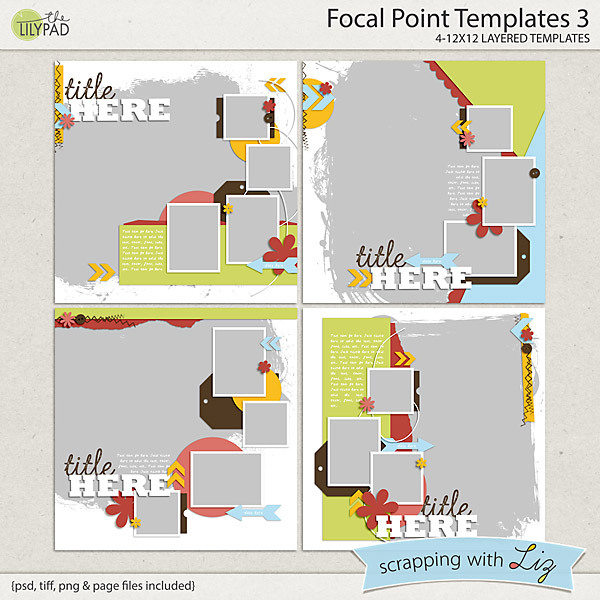 Focal Point Templates 3 is a new product in the Focal Point line. 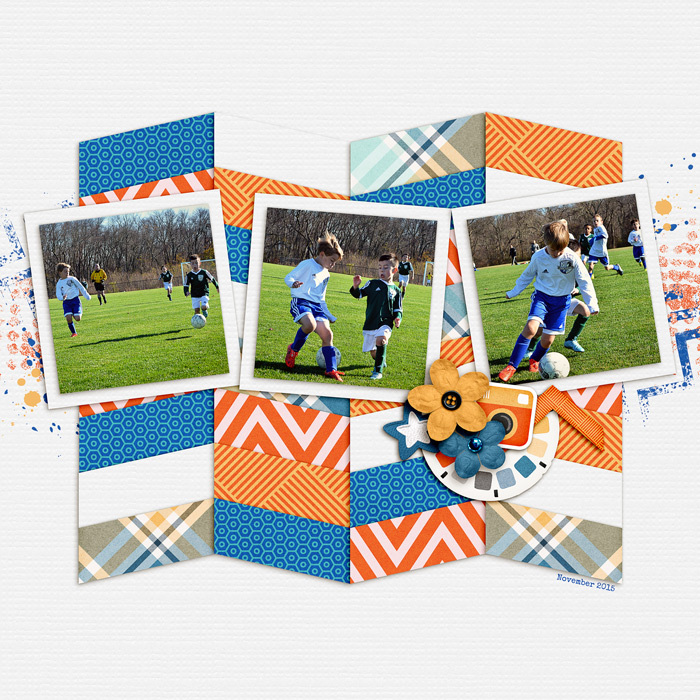 These templates all have a big artsy background photos with smaller photos clustered at the edge. 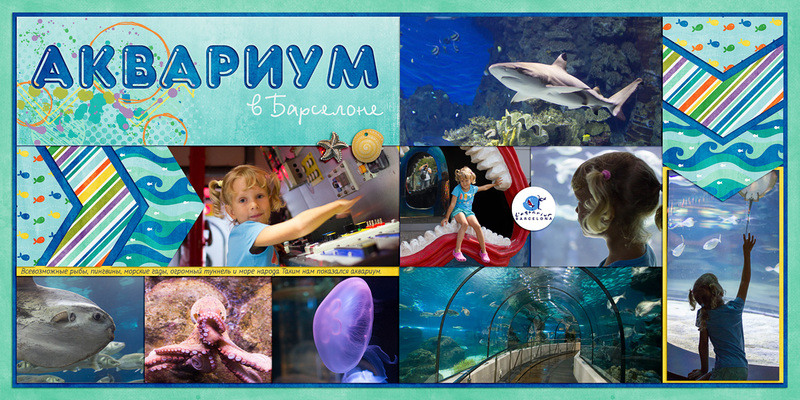 They are perfect for scrapping events, or for outings and museums. 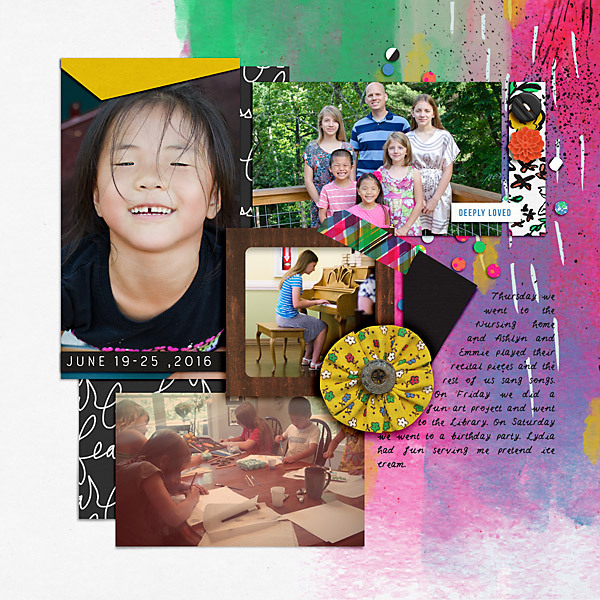 Focal Point Templates 3 are 20% off through June 19, 2016. Here is Amanda's page with beach photos. 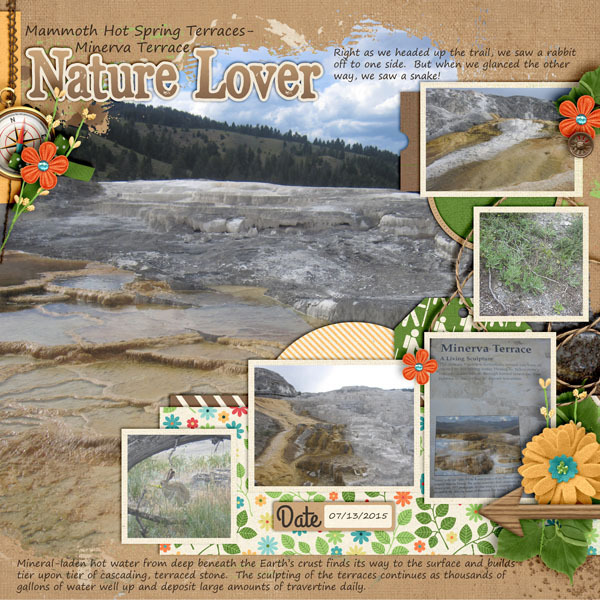 Dawn scrapped her Yellowstone travel photographs.